Heather Dacus, DO, MPH, has been teaching vinyasa and ashtanga yoga since 2002 in Saratoga Springs, NY. She has been with Yoga Mandali since its beginnings with Gopi Kinnicutt in 2005. 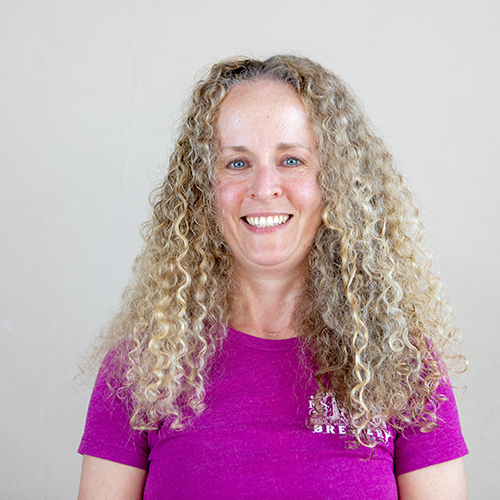 She is a 500-hour Registered Yoga Teacher with Yoga Alliance and has spent much time acquiring additional training with Seane Corn and Richard Freeman in the areas of vinyasa and ashtanga yoga. Heather’s teaching style has often been described as inclusive, as she ensures all students feel welcome and at ease despite their level of experience. Heather encourages students to be attentive to the breath as the underlying thread of the posture practice and the means by which one calms the mind and eventually finds focus both on and off the mat. She most recently began sharing her knowledge and love of yoga as part of Yoga Mandali’s Teacher Training programs. Off the mat, Heather is a board-certified, preventive medicine physician licensed with the State of New York. She is the Director of the Bureau of Cancer Prevention and Control at the New York State Department of Health. She lives in Saratoga Springs with her husband, Darel, and is a proud stepmother, dog mom and grandmother. Heather is also a 2008 graduate of the Saratoga Springs Chamber of Commerce Leadership Program.